Happy St. Patrick's Day. Don't have a related shot for that even though I took one. Ah well. 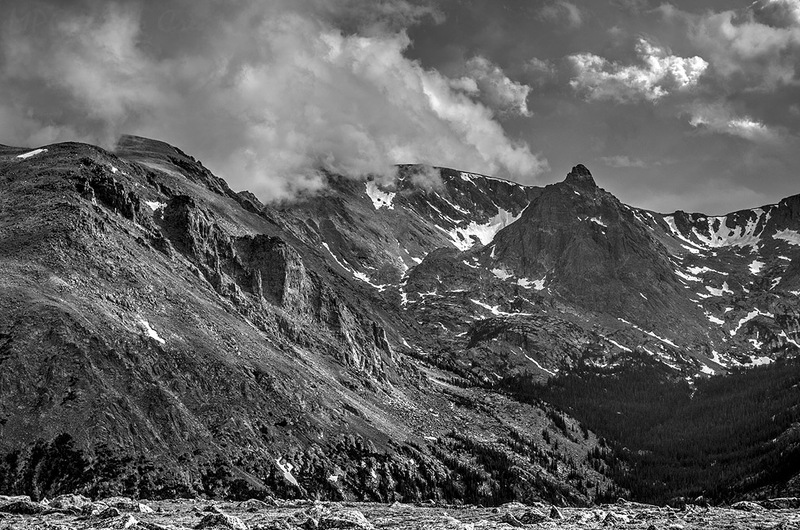 This is a monochrome of a part of the Rocky Mountain range in the Rocky Mountain National Park from this past summer.